Would you believe this is a 1930 Plymouth-extended version!! 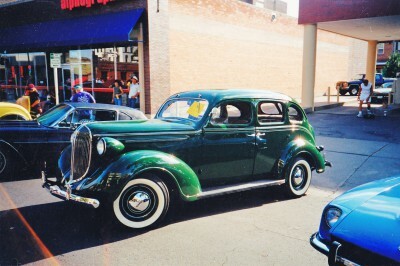 I was watching a parade of antique cars in Cour de Alene, Idaho in June 2011. I yelled at the driver and asked him the make and year model of this monstrosity and the above was his reply. Really a weird looking automobile!! This was my first college car. It was a light tan color with red wheels and I found it very reliable transportation. I don’t remember how many miles I put on it nor do I remember ever changing the oil, I probably did, but I don’t remember doing it. It boasted a radio, heater and sealed beam headlights. 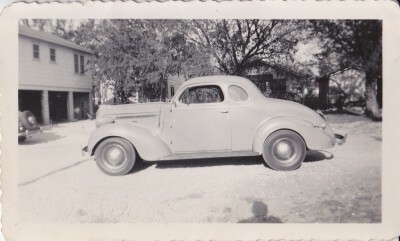 I paid $450.00 for it in 1948 and sold it to my Grandad for $350.00 in 1949 to give him a good deal after he had totaled his 1935 Ford 4 door. I never even thought about having any kind of trouble with it as it was so reliable. It made the 135 mile trip between Stillwater, Oklahoma and Waynoka, Oklahoma many times in all kinds of weather. Form those of you who don’t know, Stillwater is the home of Oklahoma State University, formerly Oklahoma A&M College.